More and more people deal with cardiovascular diseases, obesity and diabetes type 2 in the US every day. Furthermore, according to scientists’ warnings, it is very likely that by the year 2050, 15,000,000 of Americans will have developed Alzheimer’s disease. Mary T. Newport, M.D., is a neonatal practitioner and she has been studying all the scientific literature about Alzheimer’s during the last ten years. What she discovered is that the medium chain triglycerides (MCT) that coconut oil contains can be an amazing remedy when it comes to preventing and slowing down of the development of Alzheimer’s disease. Mary’s husband, Steve (58), has been suffering from progressive Dementia for over five years. His MRI results show that the disease was likely to develop in Alzheimer’s disease. He has been dealing with major memory problems, like inability to find a spoon or inability to get water out of fridge. He has also suffering from depression. Studying the Alzheimer’s literature, Mary has found out that depression can often be e precursor of Alzheimer’s disease. When there is a glucose insufficiency, the body cells of people use ketone bodies as a fuel. Brain cells are known to be the most selective cells in the body because they are restricted in terms of what type of fuel they are going to use to stay alive. Normally, they use glucose, but in some cases they can also use ketone bodies. In general, the human body does not contain and does not have these bodies to make them available for the brain to use them. What exactly happens in Alzheimer’s disease? In some body parts, the nerve cells are not able to use glucose as a fuel. This happens due to insulin resistance and thus they start to die off slowly. This process can go on for 10 or 20 decades before clear symptoms of the disease appear. Still, if those neurons utilize the ketone bodies as a fuel, they would be able to survive and go on functioning regularly. The same problem happens in the patients suffering from Parkinson’s disease, multiple sclerosis, ALS and Huntington’s disease too, the only difference being that the problem is positioned in a different area in the brain and in the spinal cord. The body does not metabolize MCT oil and other type of fats in the same way. In the liver, they are converted directly into ketone bodies and then they are used as energy. If the MCT oil is applied intravenously, it can lead to hyperketonemia, which is an increased number of ketone bodies in the blood, used by the brain cells in case if there is a lack of glucose. Dr. Newport says that hyperketonemia leads to substantial (39%) increase in the cerebral blood flow, and it appears to lower the cognitive dysfunction related to systemic hypoglycemia in normal humans. Later on, in her research, the doctor has discovered that coconut oil is nearly 60 percent medium chain fatty acids; it contains zero cholesterol, and is abundant in omega-6 fatty acids. MCT is also found in palm kernel oil and in human breast milk. Moreover, cow and goat milk also contain it in small doses, as well as the butter made from these milks. When the disease has already advanced significantly, Dr. Newport settled on to try the coconut oil therapy, and bought 100 percent virgin coconut oil. She gave her husband this oil every day, 36 grams of it, (that is more than two tablespoons), for more than a month. The results of the therapy were incredible. The doctor claims that there was an obvious improvement even after two weeks and then again at 37 days. After her husband has started taking the oil, she asked him to draw a clock, and thus saw the unbelievable results and improvements. 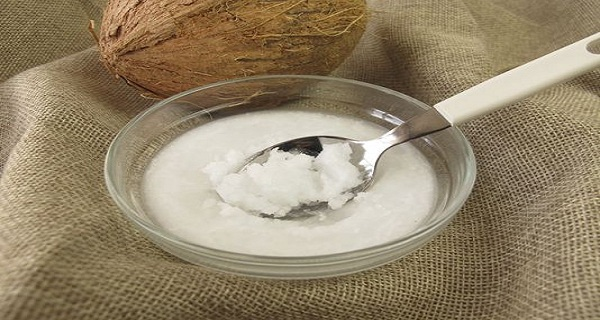 To conclude, Dr. Newport’s husband has made a considerable progress, and almost completely recovered after a month and a half of consuming 35 mg of coconut oil daily (more than two tablespoons).